Welcome to the First Baptist Church TIP Line. 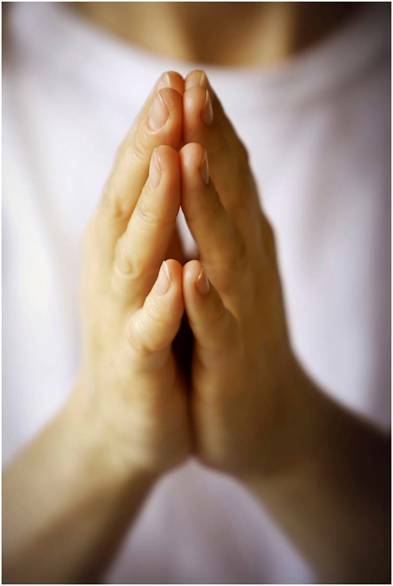 This is our online prayer request website. Our desire is to have as many people in our church and community actively and fervently in prayer. We believe prayer is the key to a strong GOD-LED church. This in turn allows us to live out our church motto “Love God, Love People” as God instructed us as Christians to do. 13Is anyone among you in trouble? Let them pray. Is anyone happy? Let them sing songs of praise. 14Is anyone among you sick? Let them call the elders of the church to pray over them and anoint them with oil in the name of the Lord. 16Therefore confess your sins to each other and pray for each other so that you may be healed. The prayer of a righteous person is powerful and effective. 6Do not be anxious about anything, but in every situation, by prayer and petition, with thanksgiving, present your requests to God. 14if my people, who are called by my name, will humble themselves and pray and seek my face and turn from their wicked ways, then I will hear from heaven, and I will forgive their sin and will heal their land. 18And pray in the Spirit on all occasions with all kinds of prayers and requests. With this in mind, be alert and always keep on praying for all the Lord’s people. 28bless those who curse you, pray for those who mistreat you. Every prayer request will be prayed for but not all will be published on the website. Please be respectful of others when making prayer requests for them. Remember: Be as specific as you can when both asking for forgiveness and praying for needs! Who Do I Pray For? And the prayer offered in faith will make the sick person well; the Lord will raise them up. If they have sinned, they will be forgiven. 16Therefore confess your sins to each other and pray for each other so that you may be healed. The prayer of a righteous person is powerful and effective. 8Therefore I want the men everywhere to pray, lifting up holy hands without anger or disputing. 2Devote yourselves to prayer, being watchful and thankful. 3And pray for us, too, that God may open a door for our message, so that we may proclaim the mystery of Christ, for which I am in chains. 4Pray that I may proclaim it clearly, as I should. 8For we cannot do anything against the truth, but only for the truth. 9We are glad whenever we are weak but you are strong; and our prayer is that you may be fully restored. 12Be joyful in hope, patient in affliction, faithful in prayer. 6They presented these men to the apostles, who prayed and laid their hands on them. 41Those who accepted his message were baptized, and about three thousand were added to their number that day. 42They devoted themselves to the apostles’ teaching and to fellowship, to the breaking of bread and to prayer. 15My prayer is not that you take them out of the world but that you protect them from the evil one. 23So we fasted and petitioned our God about this, and he answered our prayer. 3So after they had fasted and prayed, they placed their hands on them and sent them off. 15When they arrived, they prayed for the new believers there that they might receive the Holy Spirit. 24When they heard this, they raised their voices together in prayer to God. “Sovereign Lord,” they said, “you made the heavens and the earth and the sea, and everything in them. 1From inside the fish Jonah prayed to the Lord his God. “Lord, the great and awesome God, who keeps his covenant of love with those who love him and keep his commandments. 10Now when Daniel learned that the decree had been published, he went home to his upstairs room where the windows opened toward Jerusalem. Three times a day he got down on his knees and prayed, giving thanks to his God, just as he had done before. 18Although most of the many people who came from Ephraim, Manasseh, Issachar and Zebulun had not purified themselves, yet they ate the Passover, contrary to what was written. But Hezekiah prayed for them, saying, “May the Lord, who is good, pardon everyone." 17And Elisha prayed, “Open his eyes, Lord, so that he may see.” Then the Lord opened the servant’s eyes, and he looked and saw the hills full of horses and chariots of fire all around Elisha. 27I prayed for this child, and the Lord has granted me what I asked of him. 20But you, dear friends, by building yourselves up in your most holy faith and praying in the Holy Spirit. 7The end of all things is near. Therefore be alert and of sober mind so that you may pray. 13Is anyone among you in trouble? Let them pray. Is anyone happy? Let them sing songs of praise. 14Is anyone among you sick? Let them call the elders of the church to pray over them and anoint them with oil in the name of the Lord. 16Therefore confess your sins to each other and pray for each other so that you may be healed. The prayer of a righteous person is powerful and effective. 11With this in mind, we constantly pray for you, that our God may make you worthy of his calling, and that by his power he may bring to fruition your every desire for goodness and your every deed prompted by faith. 10so that you may live a life worthy of the Lord and please him in every way: bearing fruit in every good work, growing in the knowledge of God. 26In the same way, the Spirit helps us in our weakness. We do not know what we ought to pray for, but the Spirit himself intercedes for us through wordless groans. 20“My prayer is not for them alone. I pray also for those who will believe in me through their message. 1Then Jesus told his disciples a parable to show them that they should always pray and not give up. 5“And when you pray, do not be like the hypocrites, for they love to pray standing in the synagogues and on the street corners to be seen by others. Truly I tell you, they have received their reward in full. 44But I tell you, love your enemies and pray for those who persecute you. 12Then you will call on me and come and pray to me, and I will listen to you. 10so that they may offer sacrifices pleasing to the God of heaven and pray for the well-being of the king and his sons. 23As for me, far be it from me that I should sin against the Lord by failing to pray for you. And I will teach you the way that is good and right. 7What other nation is so great as to have their gods near them the way the Lord our God is near us whenever we pray to him? 20They were helped in fighting them, and God delivered the Hagrites and all their allies into their hands, because they cried out to him during the battle. He answered their prayers, because they trusted in him. 11Then many will give thanks on our behalf for the gracious favor granted us in answer to the prayers of many. 1I urge, then, first of all, that petitions, prayers, intercession and thanksgiving be made for all people— 2for kings and all those in authority, that we may live peaceful and quiet lives in all godliness and holiness. 3This is good, and pleases God our Savior. 8And when he had taken it, the four living creatures and the twenty-four elders fell down before the Lamb. Each one had a harp and they were holding golden bowls full of incense, which are the prayers of God’s people. 3Another angel, who had a golden censer, came and stood at the altar. He was given much incense to offer, with the prayers of all God’s people, on the golden altar in front of the throne. 25About midnight Paul and Silas were praying and singing hymns to God, and the other prisoners were listening to them.